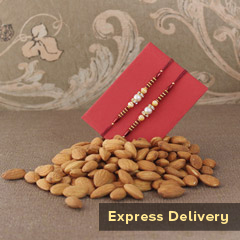 Gift health & happiness to your Bhaiya-Bhabhi, on this Raksha Bandhan! 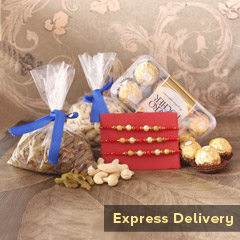 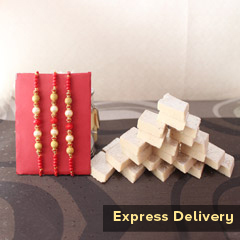 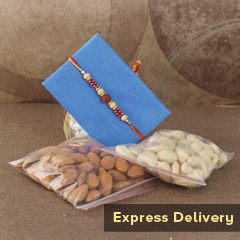 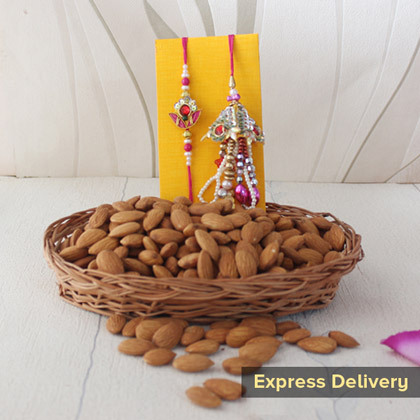 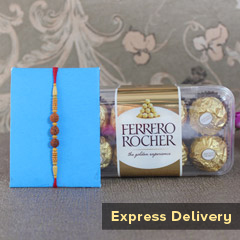 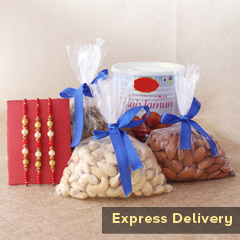 They will definitely be delighted to receive this wonderfully designed combo of Rakhi and dry fruits. 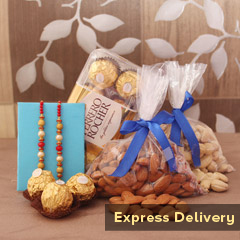 It will add on sweetness and amicability in the relationship this trio relationship.